NEW! Classifieds section - Advertise your live animals or embryos for sale for FREE on our classifieds page. Ads can be added at any time but will be removed after 2 weeks of being live on our website. Look under the Genetics tab on our site to see these ads. Contact Tara to keep your ad live for a second 2 weeks. Website - Every member is listed in the Find a Member section of the website. Contact Tara at 204-346-9809 or info@manitobaholsteins.ca if you need help updating the information listed. If you would like to advertise on our website, click on Web Ads to the right. 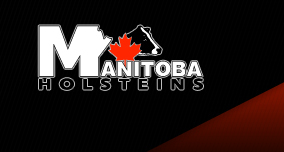 2016 MB Holstein Breeder's Directory - Every member is listed in the 2016 Breeder's Directory which is now available. A link to the directory is on the home page. Milk Line Newsletter is distributed monthly by the Dairy Farmers of Mantioba. Contact DFM for more information.